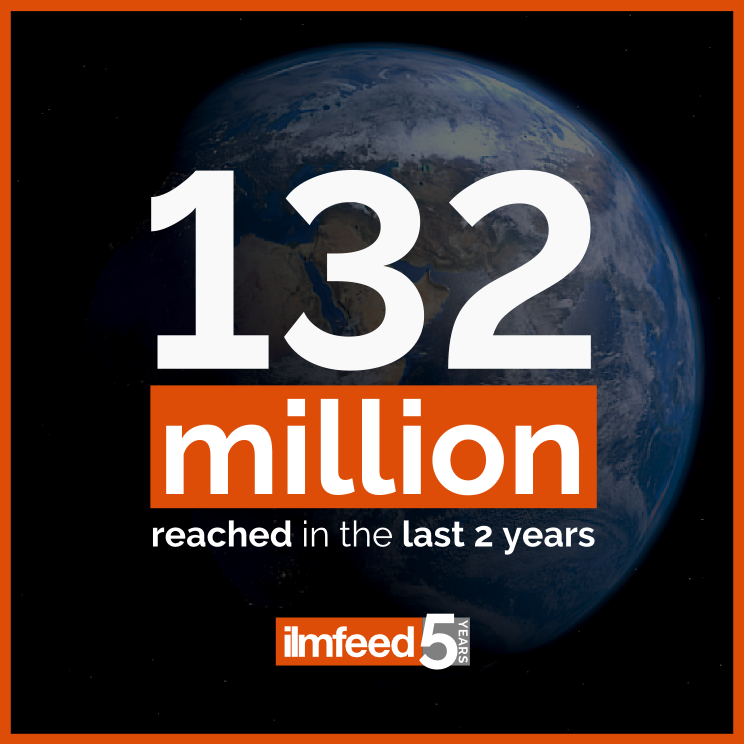 IlmFeed has now been running for 5 years and it has become one of the world's leading Islamic media platforms in the English medium. At a time where anti-Muslim sentiment is on the increase fuelled by a negative portrayal of Muslims in some parts of the media, we have made it our mission to challenge that by focusing on featuring positive stories about Muslims. With over a million followers across social media, IlmFeed continues to spread the positive message of Islam to millions of people. In the last two years, our inspirational videos have reached over 132 million people. Last year, our posts reached over 11 million on average every month. We have also raised over $250,000 for charity to help needy Muslims in different parts of the world. All this has been achieved through the hard work of a small and dedicated team of one full-time and two part-time staff with a very limited budget. Now imagine what we could do with more resources and funds? This is why we are looking for 5,000 people to support IlmFeed by contributing a minimum of just $1 a month. You may think $1 won't make much of a difference but collectively, it will make a huge difference. Reach millions more around the world. Cover more positive news stories about Muslims to counter negative portrayals of Muslims in the media. Produce more inspirational and educational videos to educate both Muslims and non-Muslims about Islam. Produce short dramatised videos to remind and educate Muslims so that they can get closer to Allah. Produce multimedia documentaries about Islamic history so we can take back the narrative and explain history on our own terms. Produce more inspirational and informative podcasts. Prepare to produce an Islamic movie in 5 years. ✓ Early access to our videos and podcasts. ✓ An opportunity to choose and suggest what content we should produce next. ✓ Exclusive behind-the-scenes updates about IlmFeed. ✓ Monthly updates about our growth and reach. ✓ Exclusive discounts on IlmFeed merchandise which is coming soon. Can you spare just $1 a month? Be part of the IlmFeed 5,000 by clicking here. ✓ Help us promote the positive message of Islam to millions more. ✓ Exclusive behind-the-scenes updatesabout IlmFeed. IlmFeed will be able to publish more amazing articles and videos which will reach millions around the world.